An aggressive, synthetic rubber resin with an aggressive grip. For materials which traditionally prove difficult to bond. For stress forces indoors and out. And for long-lasting resistance to the elements, choose NovaBond SG80. Signage: NovaBond SG loves awkward fibrous, porous or irregular surfaces. For large PVC, Opaljet and open mesh banners exposed to the worst of the weather (heat, wind and rain) choose NovaBond SG80. 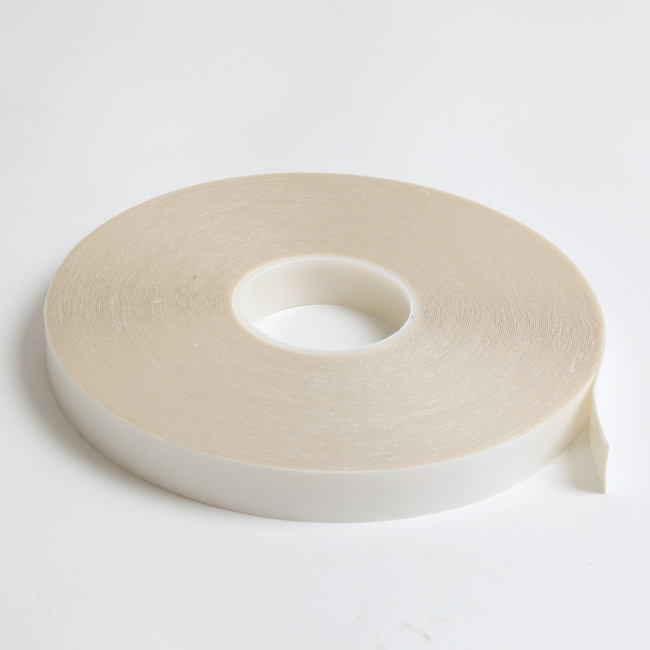 Why NovaBond SG80 rubber resin scrim tape? It’s the combination of materials and advanced adhesive structures that makes NovaBond SG the ‘stickiest’ adhesive around. Rubber resin gives a high degree of tack and peel strength, even on low surface energy surfaces. The crosslinked rubber molecules keep the bond strong, giving incredible shear resistance. And the cotton scrim gives the high shear bonding tape even greater integrity. The result? An adhesive scrim tape that will bond virtually anything. The bond strength will be at its optimum after 12-24 hours. You can quicken this process by exposing the bonded materials to temperature of 60°C for approximately 1 hour.